Question… when was the last time you curated a large scale lighting installation to deliver perfect ambience, wow factor and timed specifications for ‘I can see what I’m eating’ and ‘dancing shoes ON’? Oh never, yeah us too. So in the interest of saving our sanity, let’s all decide to bring in the professionals when it comes to lighting up the wedding reception. And when we say professionals, we tend to think of Out of the Dark Event Lighting. They are ambience geniuses and specialise in seriously show stopping installations. 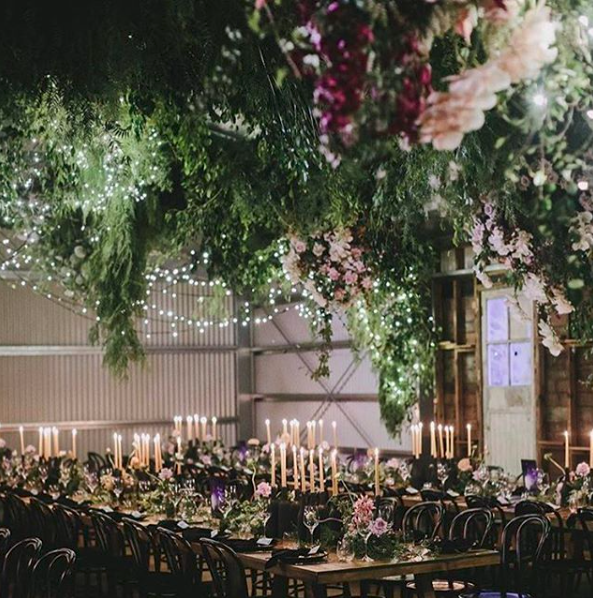 We cannot wait to see what they create at A Darling Affair, it’s sure to be a talking point and no doubt they will be swiftly filling their calendars with bookings. We’ve selected a few of our favourite looks they’ve recently created, and are currently dreaming of what they might come out with next. All hail the lighting legends! This is a bohemian classic and creates some serious chill vibes for your evening. Mix and matching the shades creates a layered, less uniform effect. 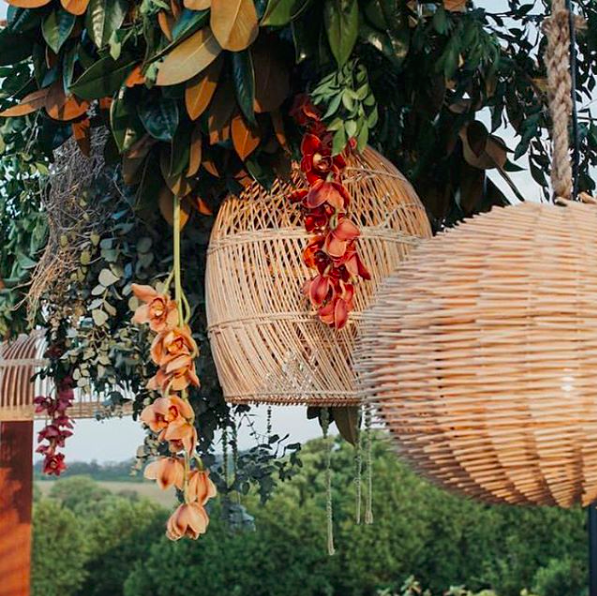 We also can’t stop staring at the gorgeousness that is the accompanying floristry from Bower Botanicals in this installation. Amazing! Ethereal and perfectly diffused for a soft, whimsical glow to the evening. 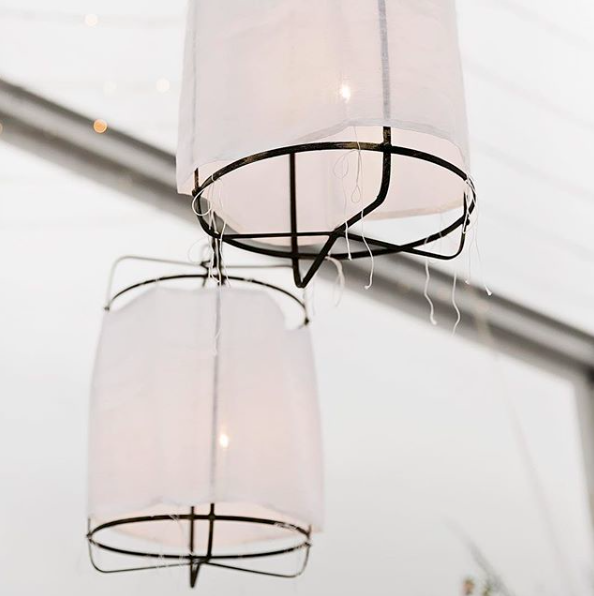 A small cluster of these would be a gorgeous feature over the dance floor or bridal table, or regular lines above long feasting tables would take your guests’ breath away. A classic approach which never fails to set the romantic, twinkling scene. 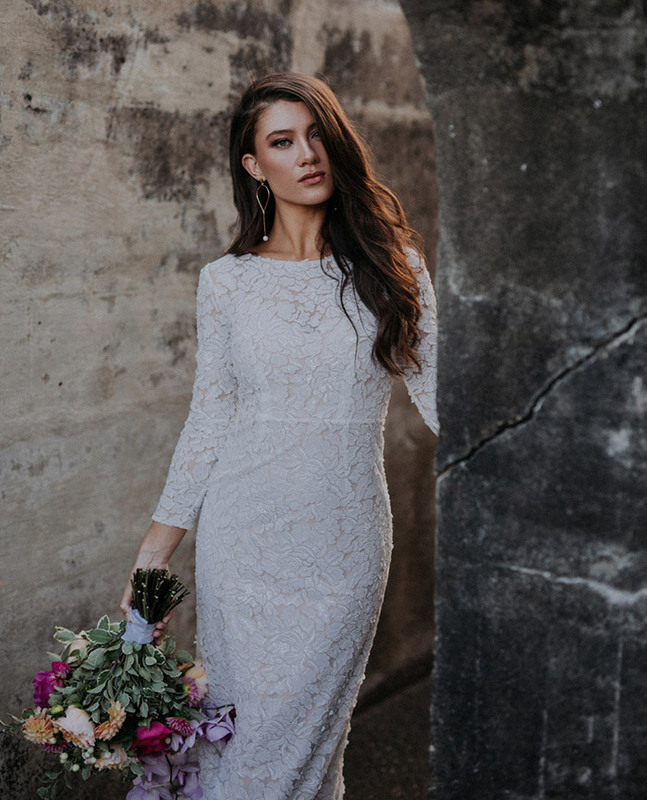 Paired perfectly with an overabundance of florals and greenery for a true secret forest feel. These lighting legends will be at the fair and boy are you going to love meeting them! So head on over to the website and grab your tickets now.